Gargi an 11 year old girl, is the daughter of a really close friend. She has always wanted to do something nice for children. 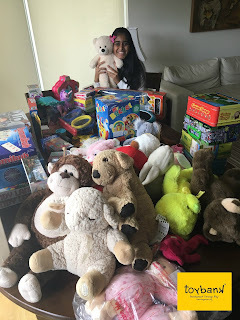 She consulted Toybank to know about the ways with which she can contribute. 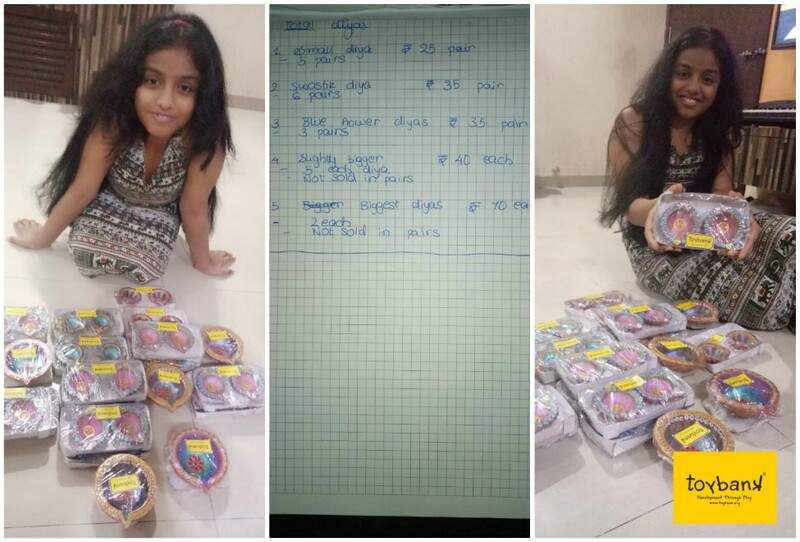 After some suggestions from Toybank and her careful thinking, she decided to use her Arts and Craft skills and make diyas and sell them to her friends and family. L'il Gargi got to work and decorated 60 diyas in 6 hours during her weekend. 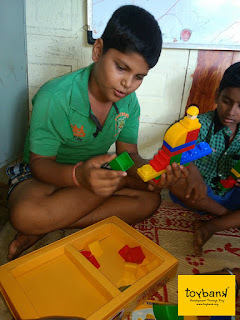 Through the trade, she raised over Rupees 1000 funds which she very graciously gave to Toybank. It seems that she is going to be working for the society when she grows up - maybe a lil Shweta in the making already.